The ferry ISSAQUAH has gone through a long life’s journey since its maiden journey on Lake Washington on May 2, 1914. 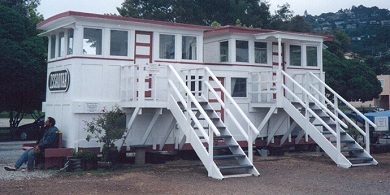 Most of the ferry is history, but the two pilot houses are preserved and on display in the Galilee Harbor parking lot in Sausalito, California. 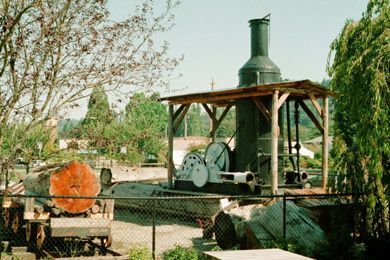 As of September 1999, the harbor is undergoing a $1.7M expansion, after which the ISSAQUAH pilot houses will be positioned on either side of the walkway to the boats, and serve as a museum to both the ferry ISSAQUAH and the history of the Galilee Harbor community. The 114 foot two decker steam ferry boat was revolutionary when it was launched by the Anderson Steamboat Co. in 1914. It served as a private ferry and tour boat on Lake Washington until 1918, when public ferry competition made its continued operation here unprofitable. At that time, it was sold to the newly formed Rodeo/Vallejo line in California and brought down the coast to the San Francisco Bay where it served on various runs until it was retired in the 1948. Pilot Houses of the Issaquah Ferry, Sausalito, CA. (Photo courtesy of David Bangs, 1999). In the 1950’s, the ferry was moved to Sausalito and divided up into individually rented units. The tenants tended to be artists and were described at the time as “beatniks.” Though the boat was superficially maintained, all the time it was sinking deeper into the mudflats and suffering rot from the bottom up. 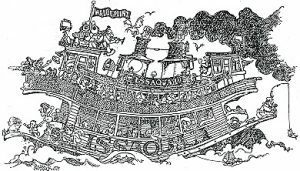 In 1970, Issaquah area historian Harriet Fish visited the boat and wrote a series of articles for The Issaquah Press on the ferry’s history and predicament. One of those articles was entitled “Ferry Issaquah is Seeing Her Last Days.” Later, the wheelhouses and walls of the ferry were saved when the mudflats on which the ferry rested were developed into today’s Waldo Point houseboat development. 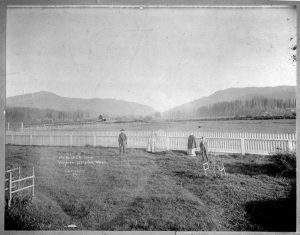 The Issaquah Ferry, on her May 2, 1914 maiden voyage. 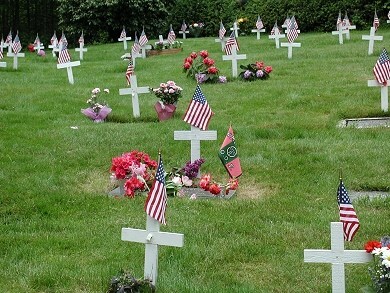 The label “Issaquah” is emblazoned in eight places – including the prominent flags flying atop. 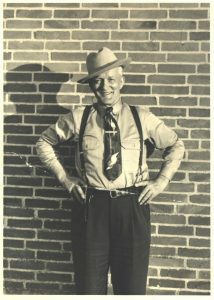 photo from the collections of both Joe D. Williamson and Capt. Bob Matson. 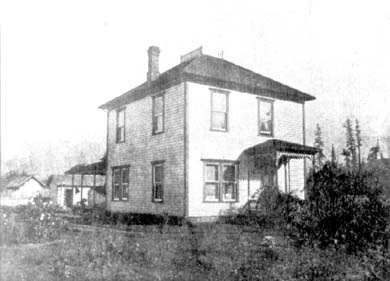 Reproduced in This Was Issaquah, p18. The Issaquah Ferry later served on a run between Martinez and Benicia, California. The smokestack of the Issaquah Ferry, Sausalito, CA. (Photo courtesy of David Bangs, 1999). Steefenie Wicks of the Galilee Harbor Community Association has been instrumental in preserving what’s left of the ISSAQUAH. 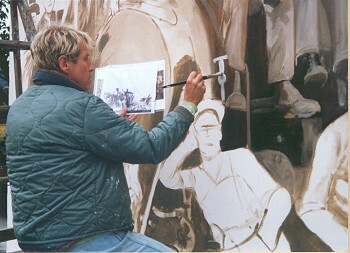 Wicks was the director of the now-defunct Art Zone organization from 1984-1988. Under her direction, the organization rescused the Issaquah’s remaining walls from the rotting hulk on Sausalito’s mudflats. Art Zone represented the interests of artists and others who were living in boats and other structures along the city’s waterfront before they were displaced by new developments in the 1970’s and 1980’s. Galilee Harbor, which is a resident-owned live-a-board marina, is a direct result of that movement. A nearby houseboat dock is surprisingly named “Issaquah Dock.” It is part of the Waldo Point Harbor houseboat community, on Gate 6 road off Bridgeway, in Sausalito. 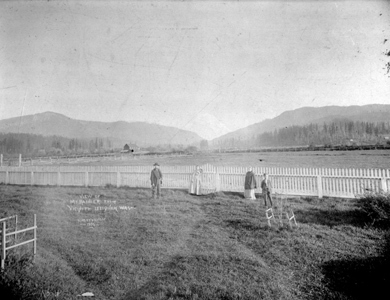 The ferry ISSAQUAH languished for many years on the mud flats that later became part of the Waldo Point development. The Issaquah Ferry in a 1977 cartoon by Phil Frank. This cartoon was drawn in 1977 by Phil Frank, a San Francisco Chronicle cartoonist and creator the ‘Farley’ comic strip. 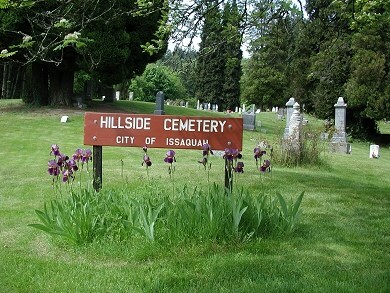 It’s caption reads “I dreamt that The ISSAQUAH was fired up for one more day. Everyone got on it. We went all over the bay and had a great party.” The flag atop reads “Waldo Point.” Cartoon copied from the collection of Galilee Harbor Community Association.
. . . [By] 1914, Captain [John] Anderson [of the Anderson Steamboat Co.] had gathered about him other visionary boat designers who drew up, built, and launched the first, and last, privately owned inland waterway, double-ended, steam ferry boat. From that day in 1913 when here keel was laid, until March of 1914 when she was launched, this revolutionary version of water travel attracted much attention among the boat building industry. For her name, John selected the fast growing town east of the lake, where mines and farms were producing the output to be transported to Seattle, and the many needs for this community were also moved from Seattle eastward. So, this new 114 foot two-decker ferry boat, with a maple dance floor, was named The ISSAQUAH. She was launched with appropriate banners and festivities involving the mayors of both Seattle and Issaquah, but, to the chagrin of the launchers, her 9 foot draft proved too deep for the lake show bottom, and she had to be freed from her “stuck-in-the-mud” position the day after launching. A scene from the 1914 launch festivities onboard the ISSAQUAH at Houghton, WA on March 7, 1914. The two men identified by arrows are Issaquah mayor P.J. 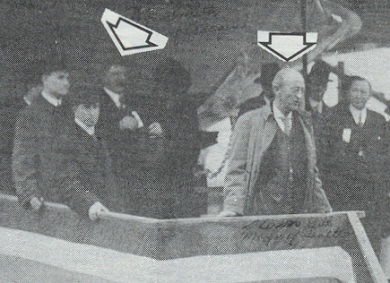 Smith (left) and Seattle mayor Hiram Gill (right), who is speaking to the crowd. 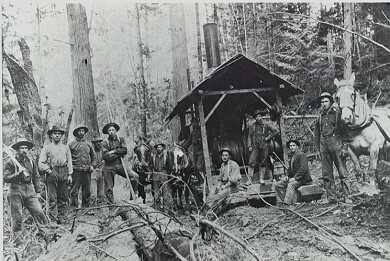 Photo loaned by Mrs. Irvin (Helen) Johnson and reproduced in This Was Issaquah, p15. By May 1914, she was outfitted and dependably serving the public, crossing Lake Washington between Leschi, the Parental School on Mercer Island, and Newport. She served this run for 3½ years. In between her scheduled runs, she too was used as a floating and cruising dance hall and party center by celebrating groups of people. In 1917, the competition from the growing King County Ferry System put an end to the practical operation of a private system, and, in 1918, this neat, compact ferry boat, with its twin smokestacks and pilot houses, was sold to a San Francisco Bay transportation company. Leaving Houghton on May 30, 1918, all boarded up above the waterline, and loaded with cord wood, she proceeded under her own power to Neah Bay, where she loaded more wood and was met by a tug which would assist her in the sea trip southward. Her quality construction proved sea worthy, and she gave thirty additional good years of continued service in the Vallejo-Martinez area, always proudly carrying the name ISSAQUAH. In 1918, the ferry was operated between Vallejo and Rodeo by the Rodeo-Vallejo Ferry Company. In 1927, after the completion of the Carquinez Bridge, the ferry was sold to the Martinez-Benicia ferry company, which operated it between Martinez and Benicia until 1941, after which the ferry was put to work on Mare Island-Vallejo service, and was laid up after the war at Vallejo.After the Second World War she was retired, and still today she is sinking deeply into the mud flats of Sausalito, where her “grounded” years have served many levels of life as studio, home and shelter. Issaquah Class FerriesEncouraged by Issaquah historian Harriet Fish, the Washington State Ferry System christened a new ferry as The ISSAQUAH in 1979. The Motor Vessel Issaquah was built in 1979, becoming the first Issaquah Class ferry. The 328 foot ferry can carry 100 automobiles and 1200 passengers. The passenger compartment is entirely decorated with photos of historic Issaquah. The ferry runs the route between Seattle and Bremerton. 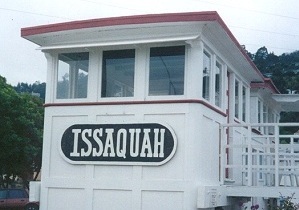 The Issaquah became the first of a series of ferries called “Issaquah 130 Class Ferries” that currently operate on Puget Sound. Modern Issaquah Class ferries include the ISSAQUAH, KITSAP, KITTITAS, and CATHLAMET. Slightly longer and newer “Issaquah Class” ferries include the CHELAN and SEALTH. The ferry ISSAQUAH was used in the 1965 movie Dear Brigitte starring Jimmy Stewart, which was filmed on the Sausalito waterfront. It’s all about a little boy who is in love with Brigitte Bardot. You may want to rent it and see if you can see the ISSAQUAH in the background shots. With more than 300,000 visitors each year, the Issaquah Salmon Hatchery is easily the most-visited hatchery in the state. The best time to visit is September and October, when the salmon return to the hatchery up Issaquah Creek and when the Friends of the Issaquah Salmon Hatchery (F.I.S.H.) offers public tours. 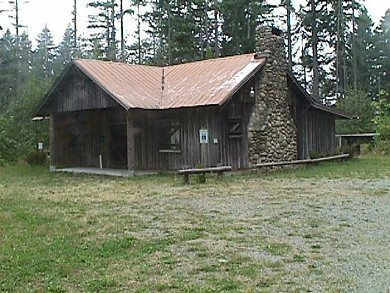 The facility is open to visitors year around and has very good interpretive signs and displays to help guests learn about salmon and their life cycles, and about the hatchery itself. Inside the front door, there is an aquarium of fish which are the same age and size as the fish in the hatchery’s holding tanks. Adult salmon begin returning to the hatchery via Issaquah Creek in late August and early September. As many as 10,000 to 20,000 salmon may return before the runs are over in December. 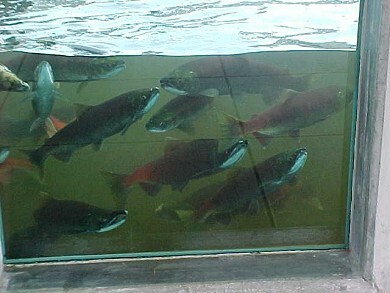 Upon reaching the hatchery, salmon are strongly encouraged to jump up the fish ladder at the hatchery. Once up the fish ladder, the fish wait in holding tanks. Large windows allow for public viewing. Salmon in Issaquah Creek, near the hatchery. Photo courtesy of Ken Sessler, 2002. Salmon near the fish ladder entry at the Issaquah hatchery. Photo courtesy of Ken Sessler, 2002. Salmon who have traveled up the fish ladder await “assisted spawning” by volunteers. Photo by Ken Sessler, 2002. 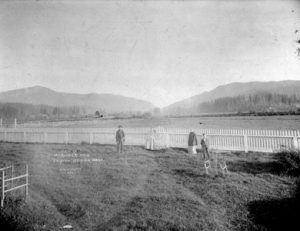 This site was once part of “City Park”, which was connected to downtown Issaquah with a wooden bridge over Issaquah Creek. 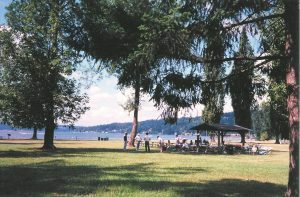 During the 1920’s, the park was well used with a bandstand and speaking platform for large holiday celebrations; and there was much picnicking along the creek. 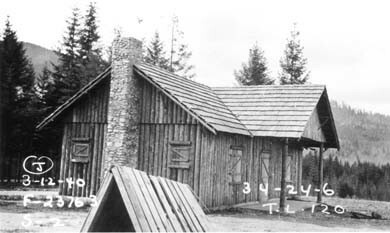 The hatchery was constructed as a Works Project Administration project during 1936-1937. Plans included: Hatchery Building (increased in size during late design phase from 90 feet long to 176 feet! ), hatching troughs, deep tray troughs, hatchery baskets, egg trays, overseer’s residence, feed house, garage, rearing ponds, water system, and racks and traps. 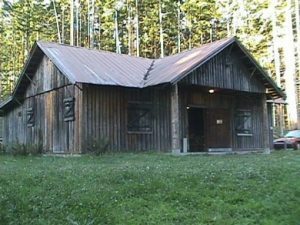 In the early 1990’s, the State Department of Fish and Wildlife announced plans to close the hatchery due to budget constrains. 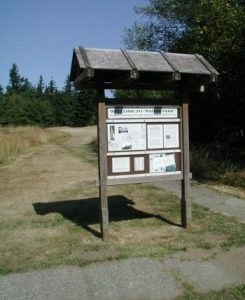 But the City of Issaquah, Friends of the Issaquah Salmon Hatchery (F.I.S.H. ), the Muckleshoot Tribe, and King County all urged the state to keep the hatchery open. 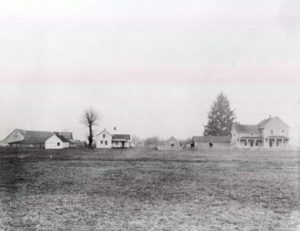 With a new focus on education, watershed stewardship, and bolstering native and threatened salmon such as the Lake Washington steelhead, the hatchery was significantly renovated and expanded in 1997 and 1998 with a new viewing pond, viewing shelter, four raceways, plumbing, stormwater systems, and a fish ladder. As of 1999, more significant improvements are still in the works! The lands on which the hatchery sit are owned by the City of Issaquah which is leasing them to the State of Washington on a 99 year lease. 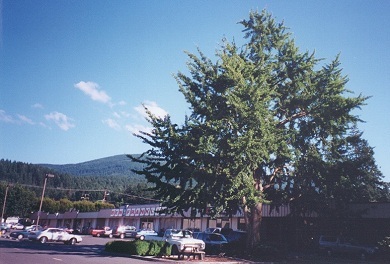 The Hatchery, located just adjacent to lssaquah’s downtown district, is a site that includes a large intact W.P.A. built building, 19 rearing ponds in front and 3 holding ponds in back. The site is located close to Issaquah Creek, its flow of water and attachment to Lake Sammamish, the slough and Puget Sound is the reason for the location of the Hatchery. The main Hatchery building is a long narrow rectangular single story wood frame structure; its long (north) elevation is fully banked with windows horizontally divided into 3 panes. A hipped roof covers the enclosed entry which is centered on the front elevation. The building is clad in horizontal bevel wood siding. Fish ponds on the grounds are surrounded by low chain link fences. 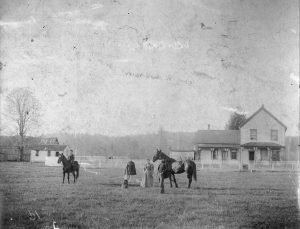 Issaquah Historical Society files. Issaquah Press newspaper articles from 1971; November 28,1935; and December 19,1935. King County Assessor’s Records.